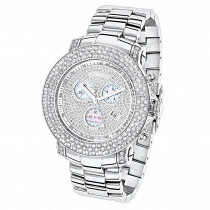 I bought this fantastic diamond Breitling watch for my dads 60th b day. 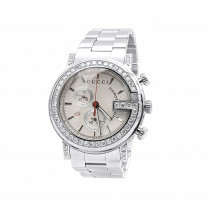 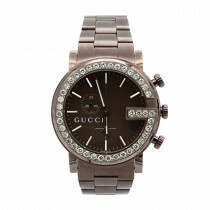 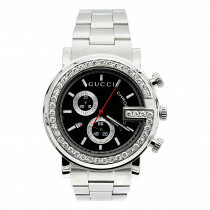 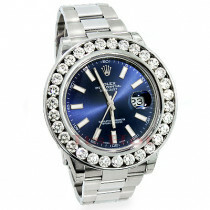 There are diamonds on the bezel as well inside on the dial which really sparkle. 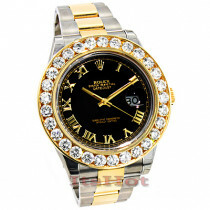 Shipped in a very nice box with 2 extra bands. 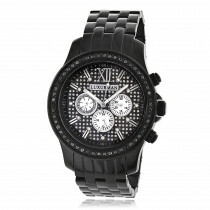 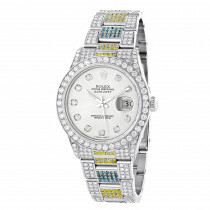 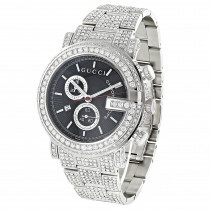 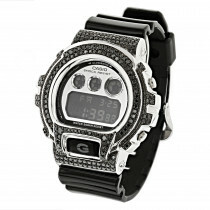 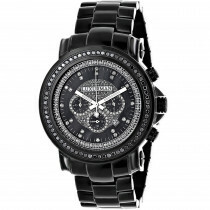 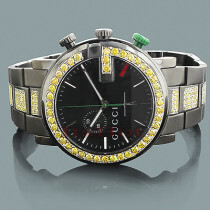 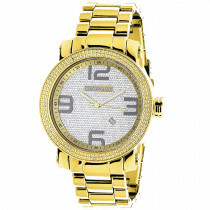 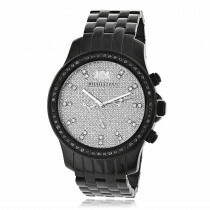 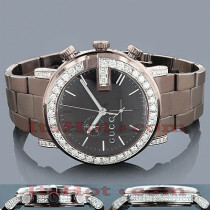 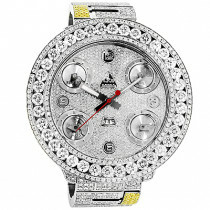 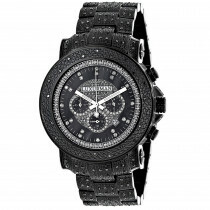 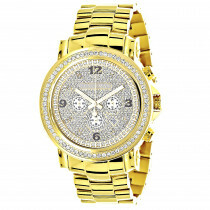 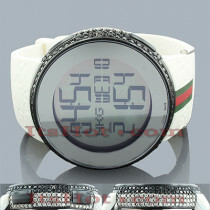 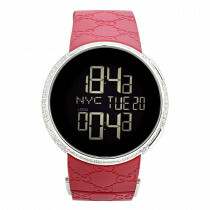 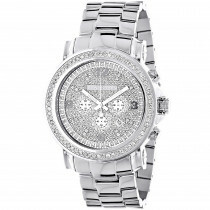 Unbeatable price for such an impressive diamond watch. 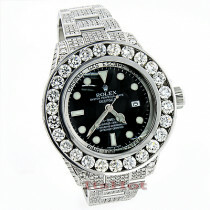 Big sparkly black diamonds on the bezel. 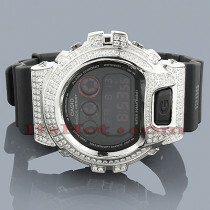 Upgraded form a diamond watch that had far less diamonds that paid twice as much for. 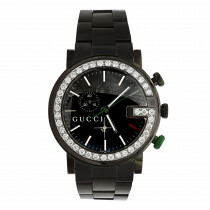 If I had known I could buy a watch like this before, I would have sooner. 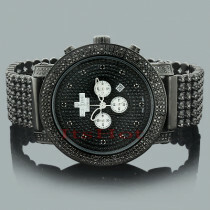 Arrived quickly and looks like a million bucks.